My first intension was to buy a new notebook (i need the mobility but i also enjoy gaming and rendering) all actually notebooks in 1.0- 1.5k range had same or worse CPU as my 4 Years old I7. So i found egpu.io, a Thunderbold 3 Connection on my notebook ( i never realized before) and the Breakaway Box. Thats it! 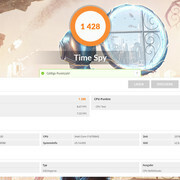 Driver: i updatet the latest TB3 Driver from ACER Page (Version 16.1.47.2). The newer from TB3-Page (17.2.71.250) showed me some Message that egpu are not supported, may i have to install the newer, iam not sure in this case. 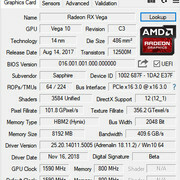 install AMD driver, enjoy. Plugged directly without any problems. be sure you have enough nervs to put inside. Card has insded exactly 3mm air. I tryed 2 ways: remove PSU and inside and remove FAN including Fan-Plate. Second way is defenetly the best and only save way to fit the cart without destroying something.. I was very diappointet after i saw how big the distance is between the dGPU Gtx960m and the eGPU Rx580. About the Tripple less. In my opinion Nvidia cheats with the GPU Name. I buyed the notebook 4 Years ago for 1.4k Euro and i not checked the GPU in Detail, i saw its a High-End CPU (was most important for me) ...for me was: a GTX960M should be good, okay its an "M" so its for sure a bit lower Version like a max-q with lower voltage etc. 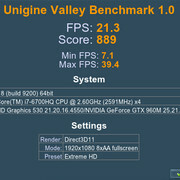 But its a damn 750Ti. Same Chip, new label. 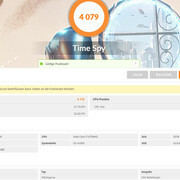 If i read before 4 years GTX 750Ti i not buyed... Anyway. 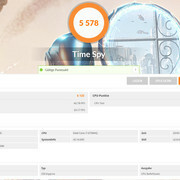 The i7 6700HQ is still a good CPU of course its a Bottleneck but an accaptable to push a 4 years old Notebook into a good gaming and rendering Station. after few tests the results was nearly same. 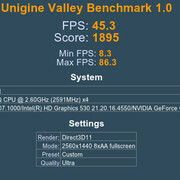 In all Benchmarks the Core Clock and Boosts are running not above 1500mhz. how long the cars can hold the boost. So it was needed to test ingame. Normal settings and with Undervolting + OC memory. Sapphire Vega 56 Pulse: In my opinion best Architecture for the Breakaway Box cause the Airflow running through the Card inside Backside Fan and directly outside. 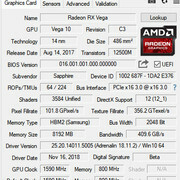 Sapphire Vega 56 Nitro+: For the Top-Model the difference is not so big. I got both cards for a similar price (Nitro +40 Euro more). The fitting inside the Breakaway is horrorble. The 3 Fans Blows the air directly on top of the heatpipes and the hot Air left around the card. Maybe its not the best Airflow inside the Box as at the Pulse but the temperature results was very close sometimes a bit cooler as the Pulse. 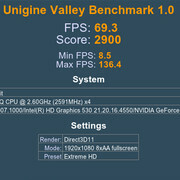 Ingame you see +2-3 Fps more at the Nitro+, running around 190-220W. More worse Hynx Memory chip. Iam not sure wich card i better. The Nitro has 2-3 Fps more for 40 Watts more and is 40 Euro expensiver. I Think the nitro is better for reselling after a year. Maybe someone can help me with this decission. 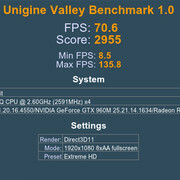 Thanks to egpu.io to show me this awesome possibility!